Of these top eight, five feature a team member born outside of the United States. Of the top three (unless standings change after the Free Dance, this is presumably our Olympic team), three have been naturalized within the past month. (For details about the battle to ensure defending World Silver Medalist Tanith Belbin's citizenship, click here). And while Tanith doesn't strictly fit the definition, the others most certainly look, act, and quack like the derisively-monikered, "Rent-A-Russians." The trend began in 1993, when Russian-born Gorsha Sur won the first of two U.S. Dance titles with his American partner, Renee Roca. And planted an idea into the heads of dozens of girls desperately looking for a boy to skate with: Hey! The boy they were looking for didn't necessarily need to be American! Unfortunately, a slight nuance was lost along the way. Gorsha Sur settled in the U.S. legitimately. He defected because he was looking for freedom. He wasn't even thinking about continuing to compete, until a phone call from Renee Roca suggested the possibility. Unlike the boys who followed in his wake, Gorsha wasn't bought and paid for. Which was more than could be said for Oleg Fediukov, who, in 1993, skated at the U.S. Nationals with American Julianna Sachetti. The team placed 3rd in the Novice division -- despite the fact that Oleg had already represented the USSR internationally as a Senior. The Sachetti family, wanting the best partner money could buy for their daughter, traveled to Russia and, like picking a puppy from the pound, offered Oleg an all-expenses paid (car and green-card included) trip to the U.S.
Oleg was no fool. He took the offer. But, within a year, he was off to greener pastures, skating with Laura Gayton (with whom he won the 1994 U.S. Junior Dance title) as soon as her family presented him with a better deal. 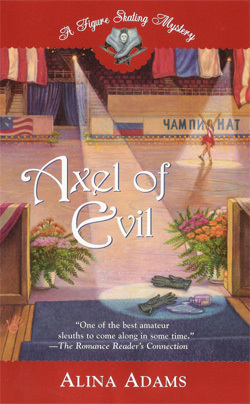 By 1997, Oleg was skating with his third American partner, Debbie Koegel (whose previous partner, Russian-rental Michael Sklutovsky won the 1993 U.S. Junior Dance title with American Kimberly Hartley). The disgruntled grumbling began almost immediately. American ice-dancers wanted to know who these foreigners thought they were, flying in and winning medals at the U.S. Championships, medals that many believed rightfully belonged to U.S. skaters. American boys resented how the Russians had received all their training for free under the old Communist system, and now were cashing in again, as U.S. parents tripped over themselves to become the highest bidder and secure the best boy for their daughter. Even before the rule-change to 'eligible' and 'ineligible,' the Rent-A-Russians could hardly be considered anything short of paid, professional ringers. Yet, nothing in the USFSA rulebook prevented non-U.S.-citizens from skating at the U.S. Nationals. 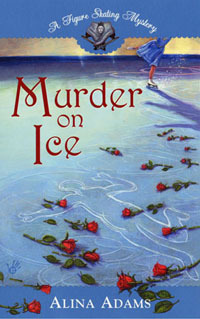 And, as skating became a more and more profitable venture to undertake, more and more parents began to see buying a boy as the ultimate investment in their daughter's future -- no different than buying her the best pair of skates, or the prettiest dress in the marketplace. A year later, Peter Tchernyshev was back with a new partner, Naomi Lang. 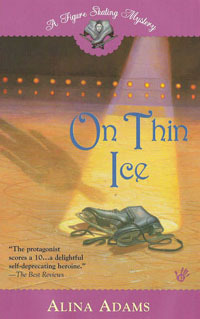 In 1998, when they finished 3rd at the U.S. Nationals, three of the top six teams skating there were non-American (Eve Chalom & British-born Matthew Gates placed 4th, and Koegel & Fediukov, 6th). Peter and Naomi went on to win the U.S. Dance title fives times before retiring in 2004. Proponents of foreigners at the U.S. Nationals argue that it will raise the standard of American ice-dancing. That if Americans are forced to battle head-to-head with their better-trained, international counterparts at the U.S. Nationals, it will inspire them to improve, which, in the long-run, will mean a better showing for American teams on the World stage. There really is no way of knowing that. As there hasn't been a U.S. Championship team where both parties were American-born, since 1998.
sorry to break the history. I was the first to skate and medal in 1992 with michael sklutovsky winning a bronze medal our first 3 monthes together.I opened the door for disaster and the u.s. has never been the same. What BS! To impune Russian skaters this way is absurd...should ALL 'writers' be assumed to have all the same circumstances & decisions in life? Some authors create for profit, some for love of storytelling - shall we condemn either of them for trying to make a living? YOU don't know the circumstances driving ANY of these people, males or females! Check the mirror - what assumptions can we leap to about your life - Let's see, your site is 'changing direction'...perhaps because 'no one buys the books'? Perhaps because your better at gossip than mystery writing? See how easy it is to make unfounded assumptions that tilt to the negative. We know some of these people and know that they were/are not paid for, EVER! More than one sought freedom and others simply exercised it! They immigrate here & work at what they know, and yes, some are even talented! Should the designers, artists, actors, etc. all be impuned because they came here with talents & used them? If you decided to move to another country, should you be denied the right do what you know best, particularly if you do it well? Exactly why should a talented athlete be a slave to his country when NO ONE ELSE IS -- Let's see, according to your view, being talented should limit your options, not expand them -- So if you want to change where you live, don't be good at what you do - is that your message? IF you were a really talented American writer, should you not be allowed to go to Russia to write? A carpenter, lawyer, engineer with talent should stay home & don't bring their talents to America so our home grown can be the only choices in those careers! Oh, so sorry, guess Americans expect to go anywhere, do anything they want, but they don't think Russians should be allowed the same privileges, right? -- Do you bother to read what you write? FREEDOM should be valued for everyone, not JUST Americans! Foreigners can come here & fight in our army for your freedom -- they can die for YOUR freedom to put them down, but they can't represent this country in ice skating? This is an absurdity! You got here one way or another; if you were identified as a top 10 writer, should there calls to prohibit your presence? Or perhaps, you were one of the lucky ones that came over with your parents so no one questioned how/why you came? If you don't like that opinion, then don't get me started on the fact that the 'Americans' are being trained by the RUSSIANS! We want to claim we're better than they are because of what?...that we can afford to pay for what they can teach us? We take their lessons and then claim that WE are the best! ?...so, IF they stayed home & taught their own athletes, then wouldn't the medals be headed in that direction. Let's see, you approve of the coaches being capitalist, but not the athletes (who will become coaches, btw). How about just appreciating each other - we obviously need them because WE choose to use them to teach us. Why not appreciate anyone who wants to continue teaching as well as those that want to continue performing, REGARDLESS of where they come from or go to? You've been very judgemental...do you appreciate those that judge your credibility? Congratulations on such a wonderful post. I really enjoyed reading it. Thank You!! I appreciate you as a customer for doing business with us... A customer is the most important visitor on our premises.Okay, go and signup on http://limosbusesjets.com & give your valuable feedback on my blogs.